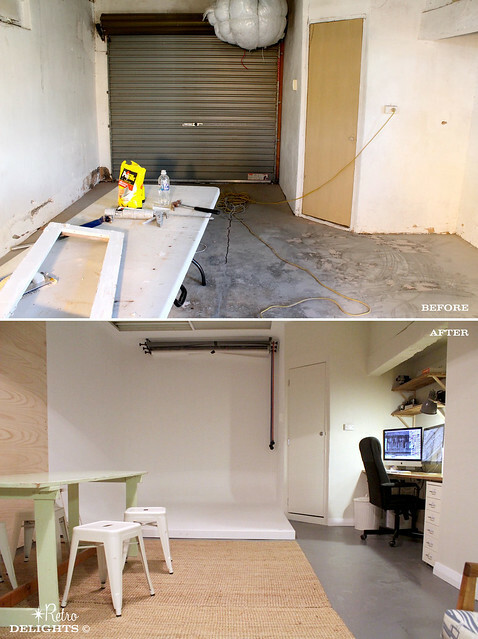 Besides our kitchen renovation, our garage conversion would have to be one of the biggest transformations we have seen at our place. It took a couple of months, working on weekends with a few late nights thrown in here and there, and now I am happy to say Denis's new photo studio is fully functional! I am so amazed with Denis's stamina, fitting this in and around his photography work, as well as general life stuff. But this is his reward, an amazing new space to share with his customers. The white wall you can see in the corner of the photo above is a special seamless wall. Denis cleverly constructed this area - the perfect backdrop for portrait and product photography. All decked out with his fave collection of retro camera gear! 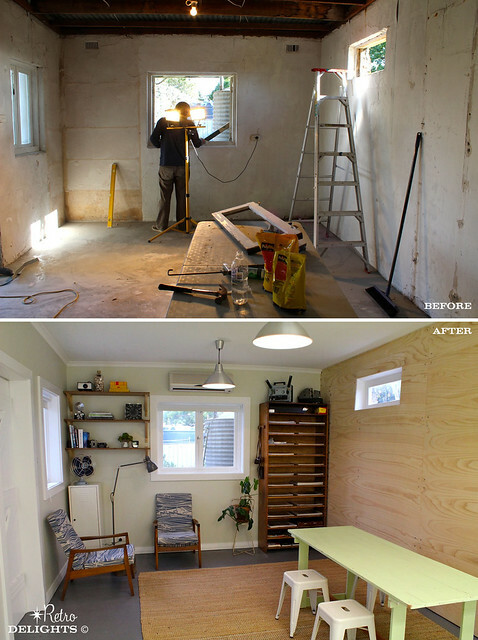 In the end we decided to line the garage for a clean fresh look, but also incorporated a lovely marine plywood feature wall. This adds a bit of warmth to the room, and I love love love the sweeping wood grain. Yes, I had Denis going through the whole stack of ply at Bunnings to pick out the best sheets! I am happy with the results... 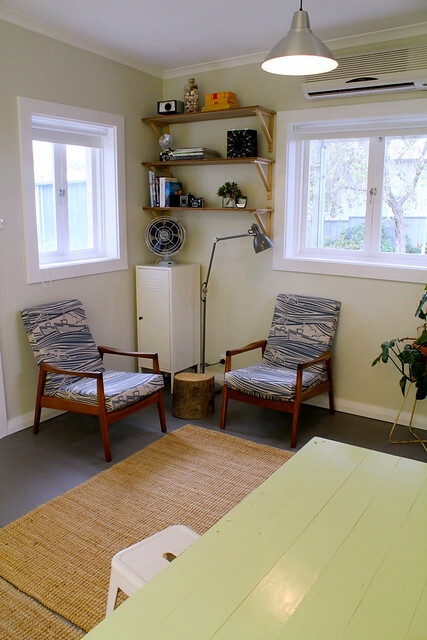 The design and layout for this space has worked out well, and it has me thinking about my own studio and what I am going to do to it! We already owned the furniture, apart from the white industrial 'Tolix' stools. A great solution for a space that must be flexible - we can stack the stools and also fold down the trestle table if we need a bigger area to work in. Wooden shelving, an amazing score off Gumtree for $40! 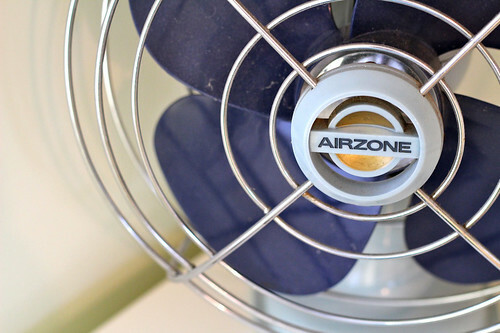 Every guy needs a colour coordinated fan! The original windows are super cute! 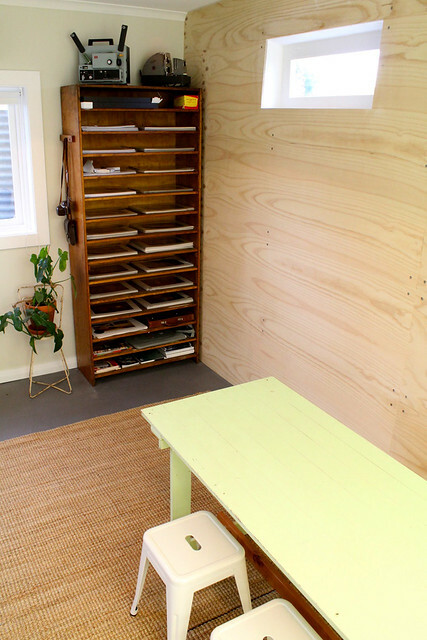 Shelves made from recycled floorboards. 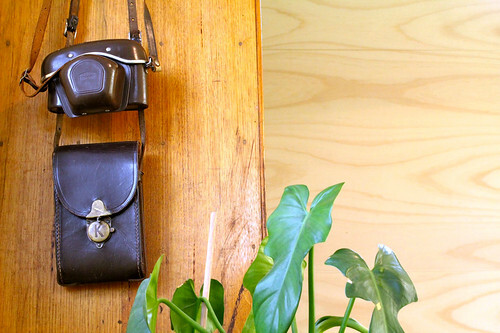 Vintage camera cases - could double as a stylie man bag! 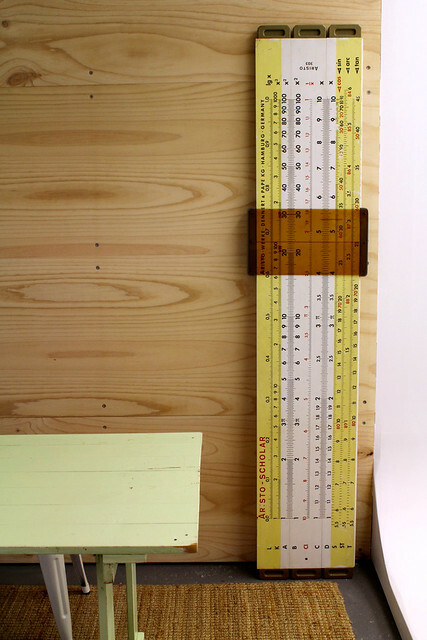 A giant slide rule for very complex calculations. 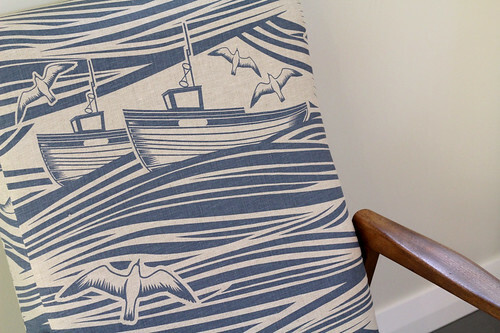 I covered our chairs in this vintage inspired Mini Moderns fabric. 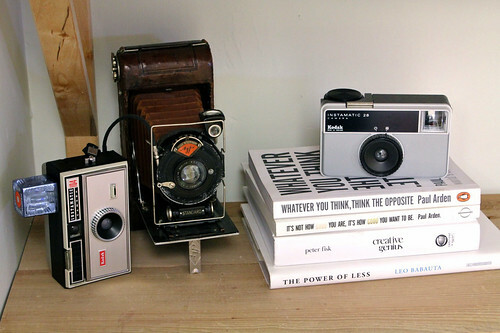 Retro cameras from various op shops, garage sales and vintage shops. The Furniture with a Future!